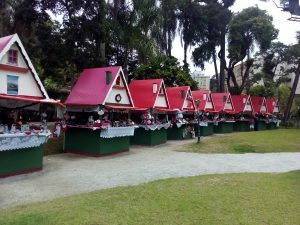 Petropolis ready for Christmas. Don't miss the Imperial City! I have just arrived from an other day trip from Rio de Janeiro to Petropolis. It was a great day and I had with me 2 ladies from the United States, mother and daughter. As usual, we left Rio about 9:00am to get in Petropolis by 10:30am. It is a nice drive and not too much traffic, specialy if it is a week day. The Cristal Palace is part of our day tour from Rio, and we visit the square where it is located just after lunch. For my surprise the full Christmas decoration is almost ready! 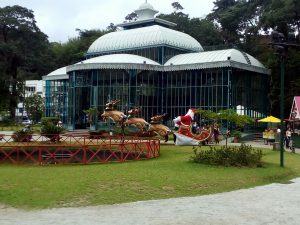 Now in Petropolis you not only have the beautiful Cristal Palace, but also different attractions at the same place. On a normal day during the year, we don’t see these tents (below) where the locals get togheter to offer tourists their products. 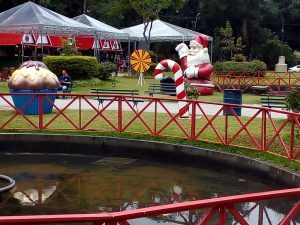 They are still setting up the entire area, and that’s the reason why you don’t see people in the pictures. Come and visit Petropolis in December! 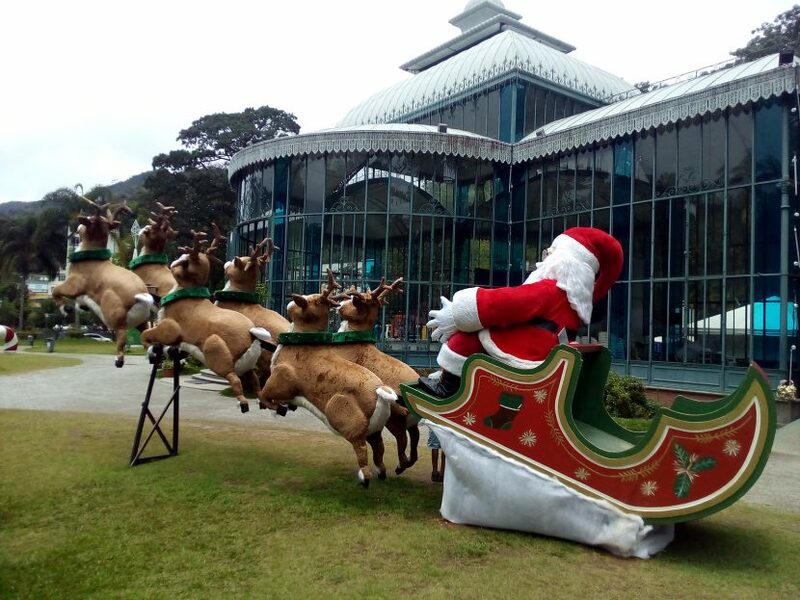 Santa is about to take off! © 2019/2020 Rio de Janeiro Tours.